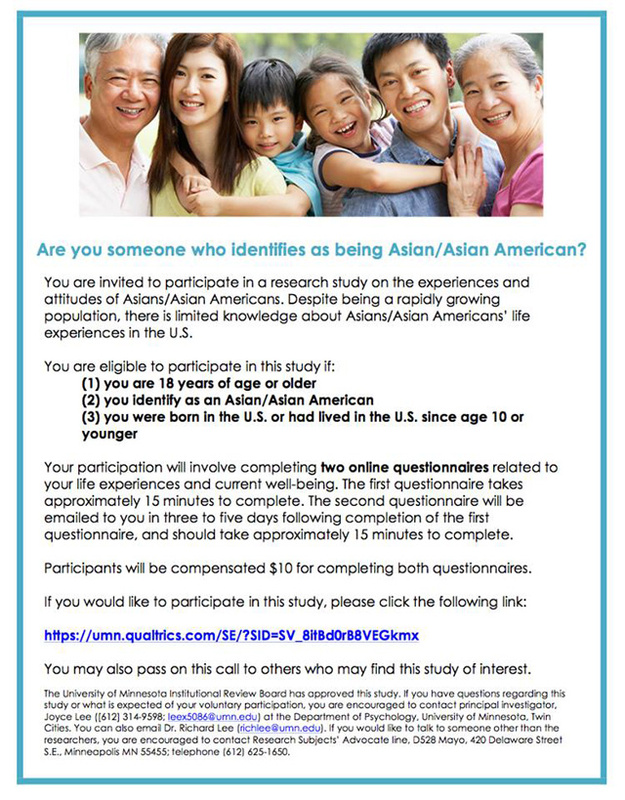 Seeking Asian/Asian American participants for an online research questionnaire. Hey folks, help out a scholar. I recently heard from Joyce Lee, a doctoral candidate in Counseling Psychology at the University of Minnesota, Twin Cities, who is conducting a research study that examines the experiences and attitudes of Asian/Asian Americans living in the United States. She is currently recruiting Asian/Asian Americans, age 18 or older, to participate in two online questionnaires for her research. Participants will be compensated $10 for completing both questionnaires. For further information about the research study, and to get started on the online questionnaire, go here. And spread the word.